Hailing from Bristol, Hotsteppas are an energetic 8-piece Reggae band who always deliver an exciting live show. 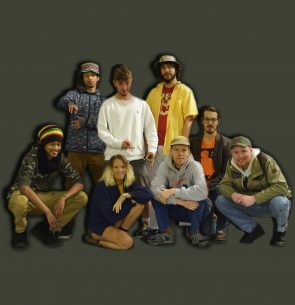 Originally formed by three Reggae Soundsystem crews – Hotsteppas offer a Roots Reggae sound infused with a modern Dub edge and a sprinkling of Funk and Latin influence. Established in late 2016, the band have quickly gained momentum through supporting the likes of The Wailers, The Mouse Outfit, Mungo’s Hifi, Katchafire, Gentleman’s Dub Club, Black Roots, Macka B, Chainska Brassika and The Hempolics. Hotsteppas have already built a keen fan-base and have launched their ascent in the Reggae world by performing at 12 UK music festivals last summer, including Boomtown, Secret Garden Party and One Love.